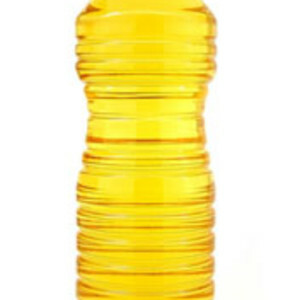 Vegetable oil may be made from a single ingredient or a blend of several. Refined oils are recommended for high-heat frying. Unrefined specialty oils are generally better tasting in salads and other cold dishes. Oils are extracted from seeds, nuts, and the flesh of fruit, as in the case of olive oil. Vegetable oils include safflower, peanut, corn, soybean, olive, and canola. There are many more and each may have specific uses for fried, baked, or cold-service foods. Most oils will be available as either refined (lighter in color and bland) or unrefined. Depending on the refining process, oils will have varying smoke points. For high heat cooking, use refined peanut or safflower oil. Unrefined oils are best as dressings, as an ingredient in marinades, and for low-temperature sautéing. Some of these are a healthier choice and will be full-bodied. Most vegetable oils will add no discernible taste in frying. However, peanut oil is one that can impart some flavoring to foods.